The State could be liable for illegal home repossessions, according to the Green Party. Green Party Deputy Leader Catherine Martin said she would seek clarification from the Minister for Justice Frances Fitzgerald on the matter later today. Ms Martin said that following the AIB versus Counihan case in the High Court in December, EU consumer law must be considered in repossession cases here. 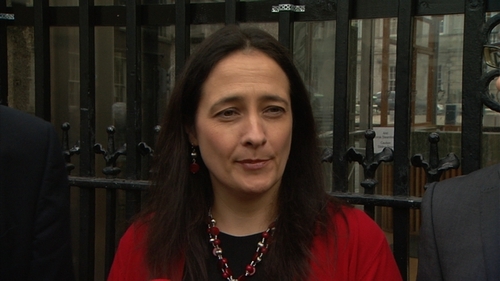 She called on the Government to introduce a moratorium on home repossessions, warning that the State may be liable for illegal repossessions if EU law is not correctly implemented by the Irish court system. Green Party Chairperson Roderic O'Gorman said that the County Waterford Registrar suspended all repossession cases until there is legal clarity. However, he said all other areas are continuing as before. He called on the Government to consult the Judiciary and County Registrars to ensure that the resources required to carry out the assessments, as laid down by EU law, are available.